Where does the holy Bible “solemnly command that we must be baptized or we shall not be saved”? From Luther’s own comments, it is clear that he required water baptism for salvation. This is called the heresy of Baptismal Regeneration. 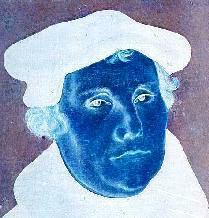 Many Protestant denominations today have been infected with Luther's damnable heresy. 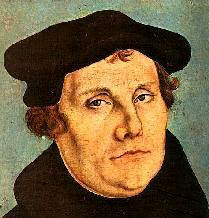 Sadly, most fundamental Bible-believing churches have also been caught up in the woeful Martin Luther deception. Luther is teaching Catholic heresy. Salvation is not obtained by quoting “these words in the sacrament.” A person cannot have their sins forgiven through partaking of Holy Mass or Holy Communion, which Lutherans and Catholics believe. In fact, the terms “Holy Mass” and “Holy Communion” aren't even found in the Bible. The Bible teaches the “Lord's supper” in 1st Corinthians 11:20. Also, the term “sacrament” is not found anywhere in the Scriptures. It is manmade tradition, originating in Roman Catholicism. The Lord's Supper, Biblically, is simply a time for a church (a local gathering of believers) to REMEMBER the Lord's broken body and shed blood for our sins (Luke 22:19; 1st Corinthians 11:24-25).